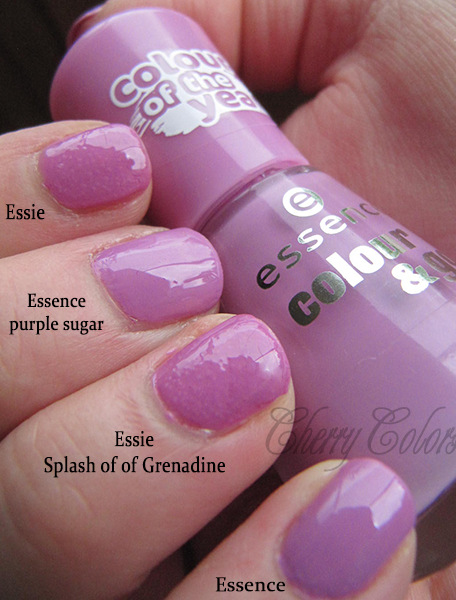 Comparison: Essie, Essence and Depend (Royal Orchid) - Cherry Colors - Cosmetics Heaven! Today I have a special post for you all. Lately I've been seeing a lot of posts about Essie splash of Gendaline and Essence Purple Sugar (color of the year 2014). They both reminded of eachother so I went and buy the Essence nail polish to compare. I later realised that I actually have another similar color to them both (Depend Gellack in Lilac). 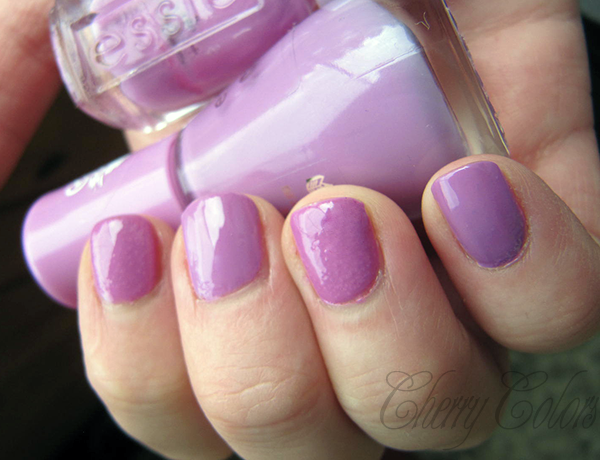 Essie Splash of Genadine is a warm lilac color. My formula is a bit old , so it played tricks on me. I need to get a thinner and fix the formula! It went on bubbly and took 4 full hours to dry for two thicker coats (because it didn't want to apply thinly). Again, this is just my polish and not all the other new versions (mine is 4 years old!). 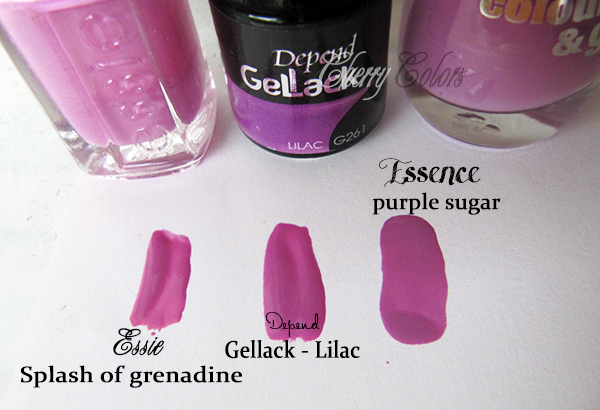 Depend Gellack in Lilac is the same warm lilac color. It is a dupe for Essie! Except that it's a gel polish and not a regular one. 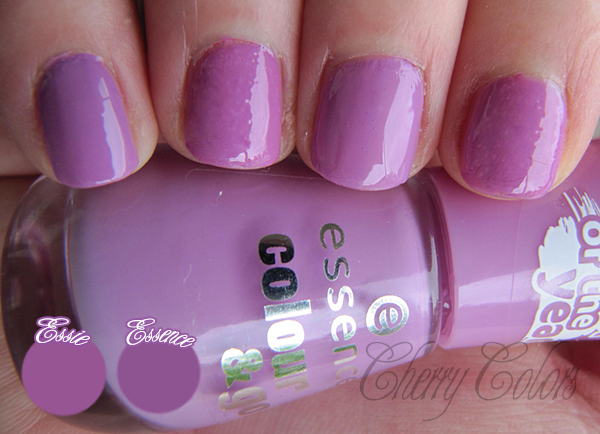 Essence Purple sugar is a less saturated colder lilac color. It goes on a bit lighter and less intense. A bit colder too. The formula is great and it needs 2 layers for full opacity. It is not an exact dupe, but from far away and in different lighting it could pass as such. I like the Essence nail polish because it is affordable and it goes on smoothly. If you need to have one nail polish in this color, I do sure as heck reccomend Essence! The color for this year is called Royal Orchid and I think it all the three nail polishes are true to it.